A long, strange case involving Empire actor Jussie Smollett appears to be coming to an end, as all charges have been cleared against the actor. Earlier this month, Smollett was charged with 16 counts of disorderly conduct and accused of fabricating an attack that involved two masked men hurling homophobic and racist slurs against him earlier this year. Today, Smollett appeared back in court for what reps called an "emergency appearance." In the meeting, all criminal charges against the actor were dropped. At a press conference, Smollett said, "I have been truthful and consistent on every level since day one. I would not be my mother's son if I was capable of one drop of what I've been accused of." 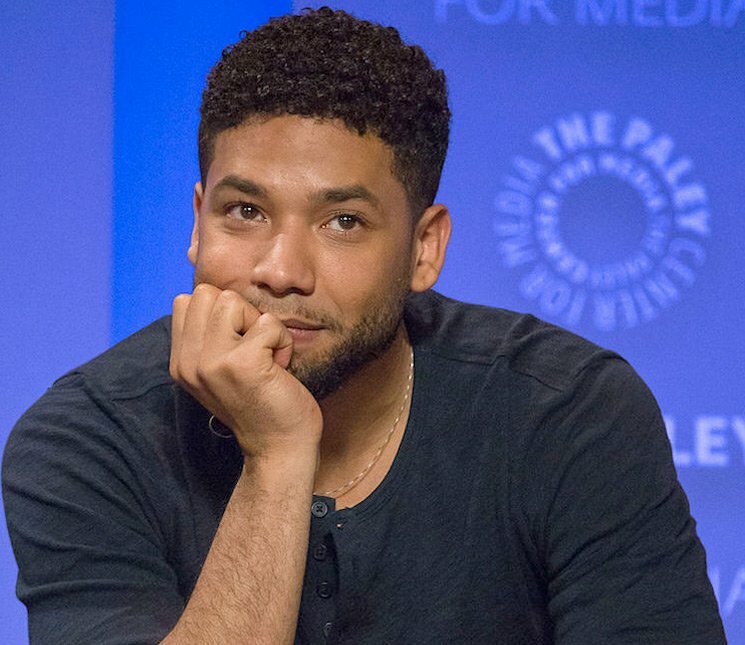 In a statement made to The Hollywood Reporter, Smollett's lawyers said, "Today, all criminal charges against Jussie Smollett were dropped and his record has been wiped clean of the filing of this tragic complaint against him.... Jussie was attacked by two people he was unable to identify on January 29th. He was a victim who was vilified and made to appear as a perpetrator as a result of false and inappropriate remarks made to the public causing an inappropriate rush to judgment." The statement continued: "Jussie and many others were hurt by these unfair and unwarranted actions. This entire situation is a reminder that there should never be an attempt to prove a case in the court of public opinion. That is wrong. It is a reminder that a victim, in this case Jussie, deserves dignity and respect. Dismissal of charges against the victim in this case was the only just result. Jussie is relieved to have this situation behind him and is very much looking forward to getting back to focusing on his family, friends and career." The Cook County State's Attorney's office also sent a statement to THR revealing that Smollett would forfeit his bond, as well as perform volunteer services in his community. Following the court hearing today, Smollett addressed reporters outside the courtroom. "First of all I want to thank my family, my friends, the incredible people of Chicago and all over the country and the world who have prayed for me, who have supported me and who have showed me so much love," he said. "No one will ever know how much that has meant to me and I will be forever grateful. I want you to know that not for a moment was it in vain. I have been truthful and consistent on every level since day one. I would not be my mother's son if I was capable of one drop of what I've been accused of." He added, "This has been an incredibly difficult time. Honestly one of the worst of my entire life. But I am a man of faith and I am a man that has knowledge of my history and I would not bring my family, our lives or the movement through a fire like this. I just wouldn't. "Now I'd like nothing more than to get back to work and move on with my life. But make no mistakes, I will always continue to fight for the justice, equality and betterment of marginalized people everywhere. So again thank you for all the support. Thank you for faith and thank you." The Chicago Police Department has not yet commented on the matter.